10 *Fabulous* Wedding Labels To Follow On Instagram! Weddings bring along a host of exciting things, not just for the to-be-married couple but for all those who are close to them, including their families, friends and relatives. The first thing that every bride wants to sort out well before her special day is the dress, be it for herself or her besties. So if you too are looking for a princess-like ensemble for yourself, then look no further. 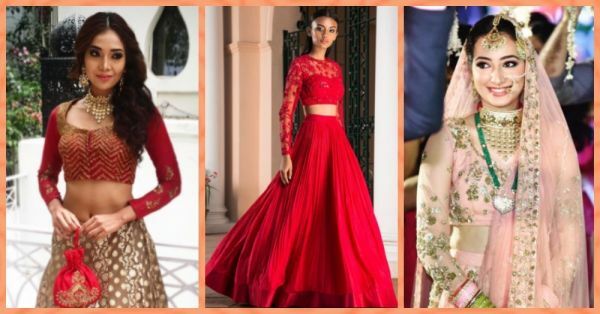 We have a list of 10 gorgeous shaadi wear labels that you should definitely check out on Instagram for that perfect dress! Pooja’s style is original. It’s ethnic yet chic. She seems to love pastel colours more than anything and that shows in her designs pretty well. She also makes use of light zardozi work and creates some really amazing outfits. These can instantly make anyone look pretty once they adorn Pooja’s clothes. 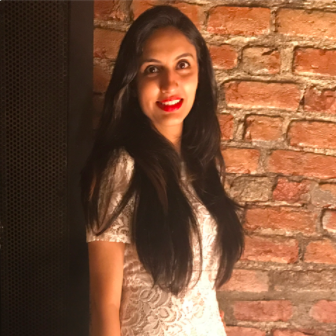 If you want to experiment with your style a bit and still look stunning, then you must check out Radhika’s label on Insta. She has some beautiful creations and the one thing that stands out in most of her outfits, is the neck design. It’s something we haven’t seen before and it looks lovely. Also, Radhika uses a lot of aari work in her designs which gives it a royal look. If you think that embroideries are old school, then well, think again! If you do not understand what we are saying, just take a look at Sanna Mehan’s designs and you will know what we are talking about! Nobody can weave magic with florals and minimal embroidery as beautifully as Joy does! He knows his fabrics, colours and designs really well. Every outfit from his label speaks for itself. The light embroidery and the subtle colours are enough for a girl to look like a princess. One look at their designs is enough to make you fall in love with them. Pink, orange and yellow are their favourite colours, and you will surely find at least one of these in all their designs, which are spectacular. They are simple, classy and perfect for someone who loves a splash of colours. These are the designs that will make you WANT to get married. Seemingly, Ridhi has a special place in her heart for zardozi embroidery and thus, creates some amazing masterpieces using the same. Suits, lehengas, sarees, gowns, you name it and you will get it here. Jayanti loves to experiment with fabrics, colours and patterns. She doesn’t stick to a particular style and that is what makes her collection so fabulous. You must check out her designs for some awesome embroidery, zardozi work and some prettily done up cholis and blouses. Anoli’s designs are fresh, very classy and exude a vibrancy of sorts. Perfect for the girl who loves colours more than anything, this label offers some of the best designs. And the best part? The bride as well as her sisters and besties can shop from here because there are all kinds of styles available! Amrita does some fabulous pastel lehengas with really pretty and intricate work. All her clothes are very classy and have a certain royal touch to them. Intricate and beautiful is the first thing that comes to mind when you see Astha’s designs. They are a visual treat and one can only imagine how pretty anyone who adorns them will look. She usually goes for more detailing on the borders and her collection speaks volumes about her sartorial abilities.